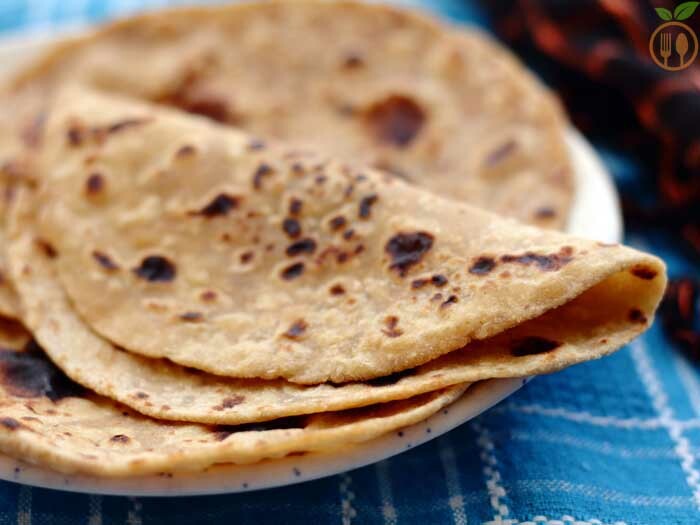 Basically Indian flat bread can be differentiate into roti, paratha , naan, stuffed paratha, stuffed naans mainly. There are lots of other categories and some are very rare of form integral part of villages. 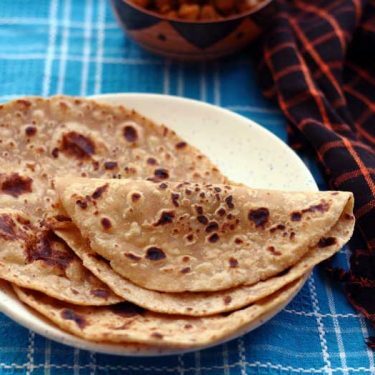 You can find another paratha recipes like spinach paratha here, and it goes best with methi matar malai . 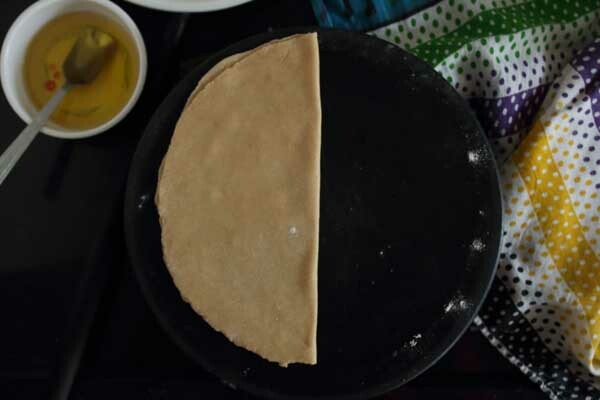 This paratha, I am making form wheat flour, I generally roll it out round, but I have also shown triangular and square shape. 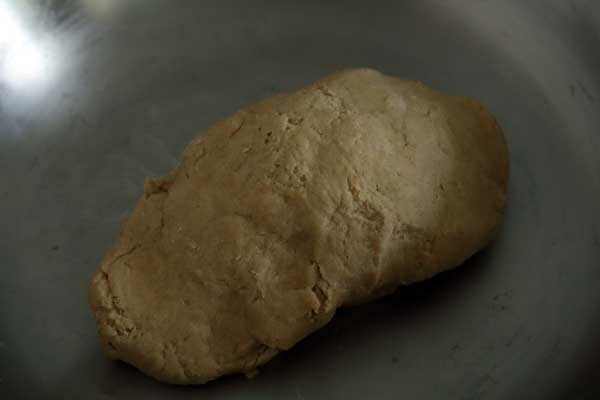 Lei’s start with making dough for plain paratha. Knead the little hard dough. Devide them into balls and then flatten them. 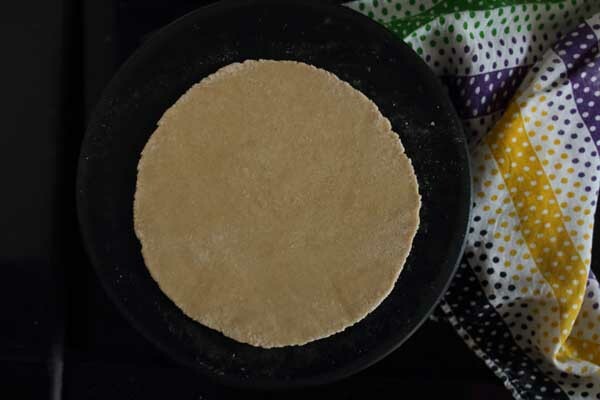 For triangle paratha, First roll out large and thin round paratha. Then fold it horizontal and make triangle shape. First roll out, round then fold them into square shape. .Then cook paratha into tawa or pan. Cook for one side, flip it apply some oil.Again flip and apply oil into another side. your paratha is ready. I never rest my dough. You can rest your dough for 15 mins. 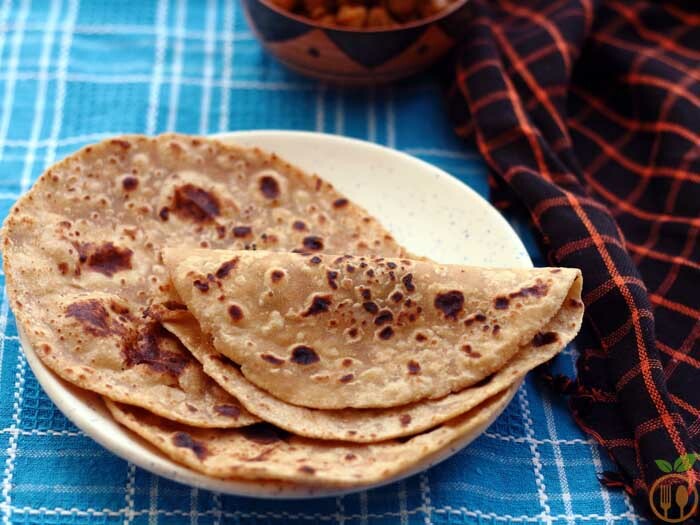 Plain paratha is most versatile Indian flat bread among all types of other paratha recipes. 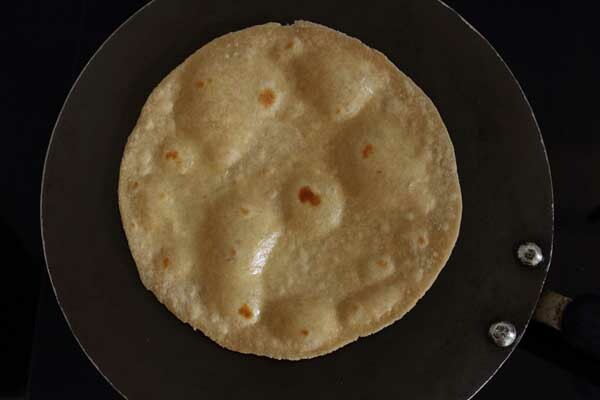 How to make plain paratha is first question, when any beginner comes in the kitchen. 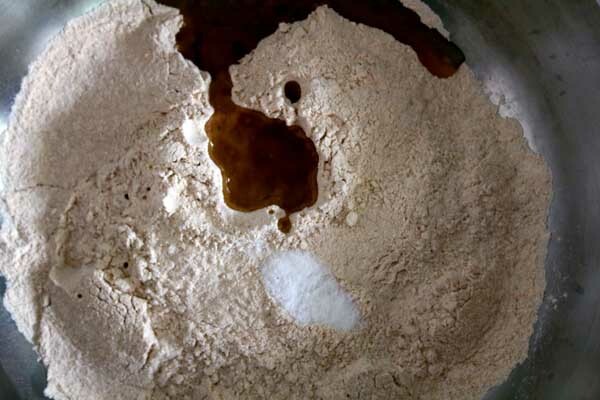 Take flour into large bowl, add oil and salt. mix the oil into flour very well. 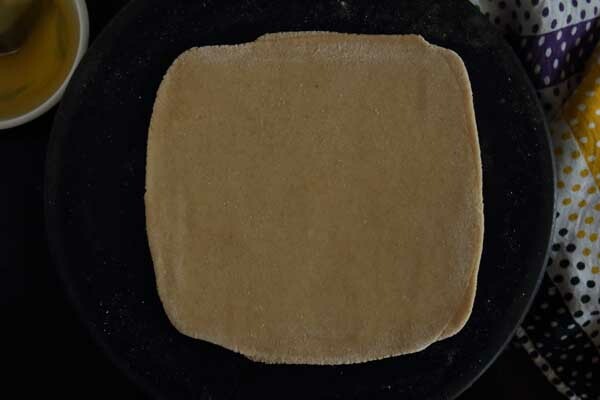 Using little by little water at a tile knead stiff dough. Do not make smooth dough. Make it little hard. cover it with some cloth or some other bowl, and give rest of maximum 10 minutes. 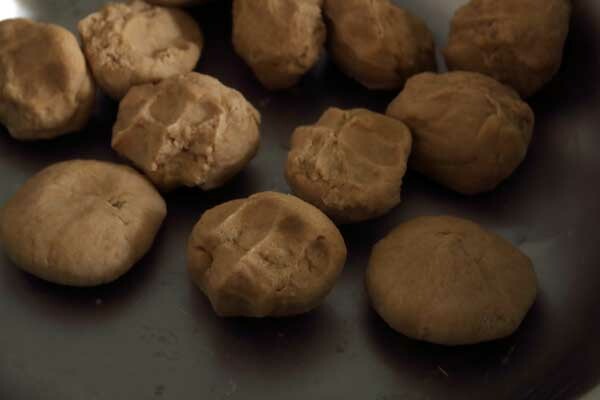 Even no resting will be ok.
After 10 mintues, take out dough and knead again with some oil, and divide them into 10-12 parts. 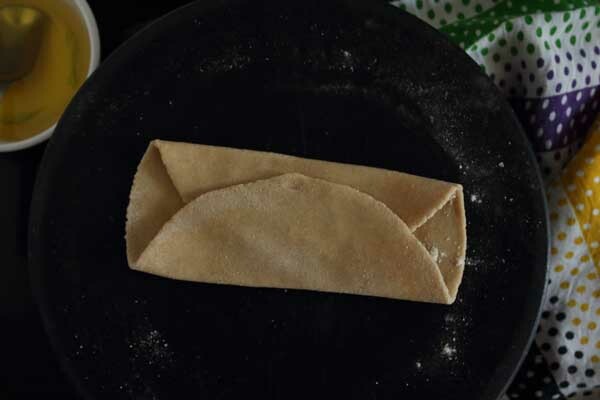 make rolls and flatten it for rolling the parathas. Take one flatten roll and dust it with some flour. 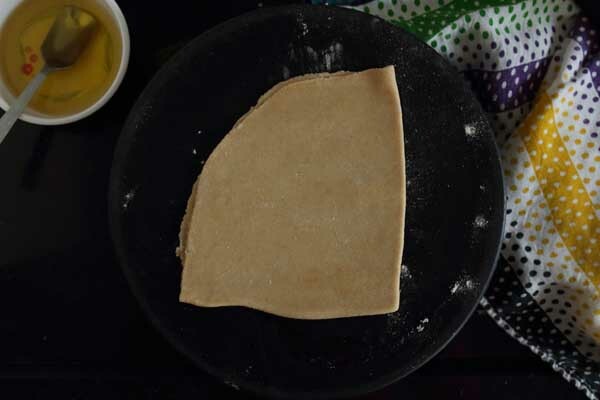 Roll out round with rolling pin with double thickness than roti. use more flour for dusting if necessary. Take another flatten roll, dust with some flour and start rolling it. On the halfway of rolling, stop rolling. 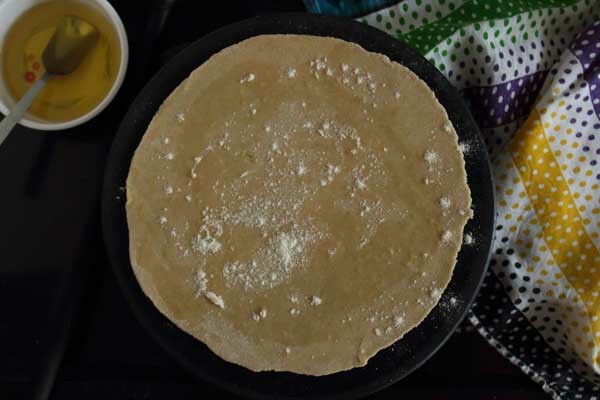 Apply little ghee or oil on the allover the surface of paratha and then dust some flour. Then fold upper and lower side of paratha toward center. again fold left and right side toward center. create square like shape. then reverse it, again dust some flour and roll it up-down direction. then move paratha by 90 degree and roll it again up-down direction. and your square paratha is ready. 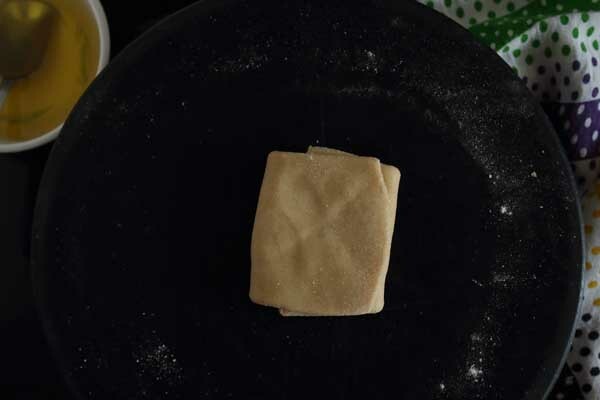 To create triangle shape, first roll out the dough into circle as thin as possible. you have to roll it thin. 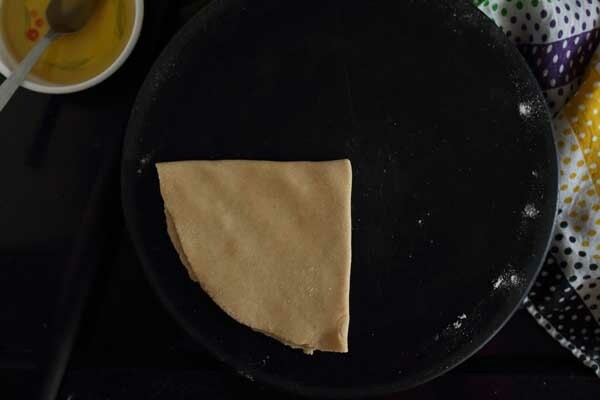 Then apply ghee or oil, dust some flour and fold the half. Again move it 90 degree and fold it again. press it to keep triangle shape. Then roll it out in one direction. make sure you keep that triangle shape as it is. 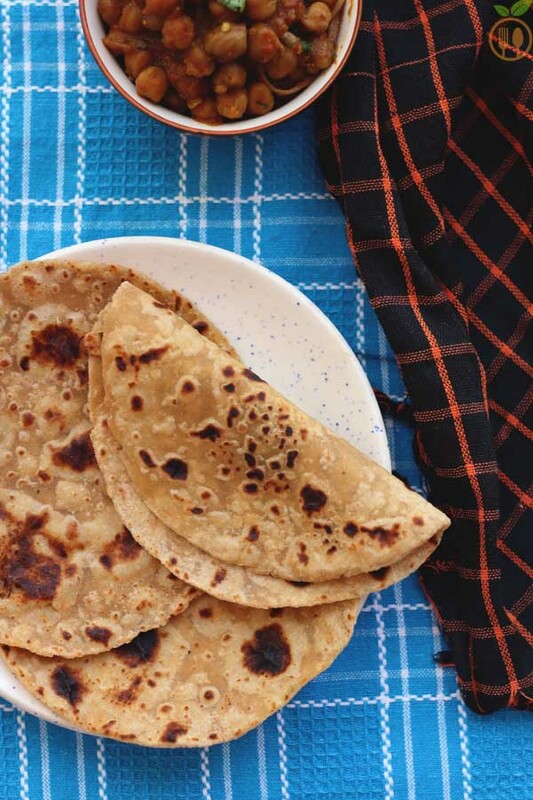 For cooking them, heat the tawa or griddle on gas, and place paratha into hot tawa. once it's half cooked, flip it on other side, apply some oil into cooked side, and flip it again. Apply oil on other side, and cook both the side until some brown or black marks appears. 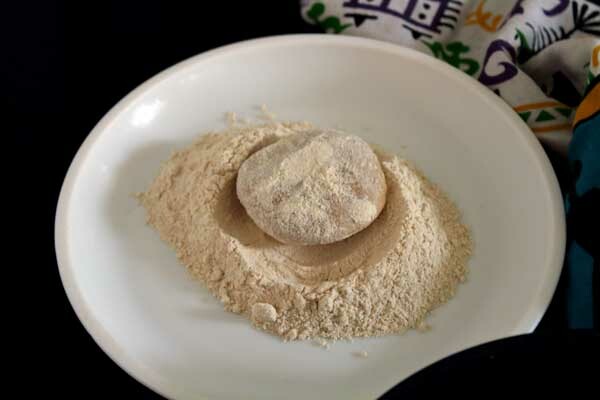 1) You can also add roasted jeera powder while making dough with salt. 2) Serve it as breakfast with some curd or pickle. 3) It goes best with any Indian curry especially with Punjabi curries. 4) You can also serve it as evening snack with afternoon tea.